7th Annual Liver Forum 2018 in Vancouver! Home &sol; POST ARCHIVE &sol; 7th Annual Liver Forum 2018 in Vancouver! 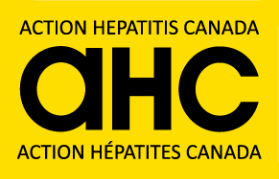 On October 19th, Volunteers Douglas Laird and Cheryl Reitz of HepCBC attended the exciting 7th Annual Liver Forum 2018 in Vancouver to hear the latest about research and best practices in the areas of hepatitis B (HBV) and C (HCV), Non-Alcoholic Fatty Liver Disease (NAFLD), and the sequelae of all three, including cirrhosis and its complications (hepatic encephalopathy [HE], ascites, autoimmune liver diseases, etc.). Participants included medical practitioners and researchers as well as representatives from pharmaceutical companies, patient organizations, private clinics, and government agencies. Chairs Dr Edward Tam, Dr Carla Coffin, and Dr Hin Hin Ko, along with Nurses JoAnn Ford, Jeanette Feizi, and Lesley Gallagher, held three workshops presenting real-life cases which gave us a taste of how patients with HBV and HCV are assessed and treated by doctors in Canada today. We will publish a link on this page to the official Liver Forum slides once they become available. For now, enjoy the HepCBC slideshow. Click on the images in the lightbox to enlarge them and to view the accompanying descriptions.